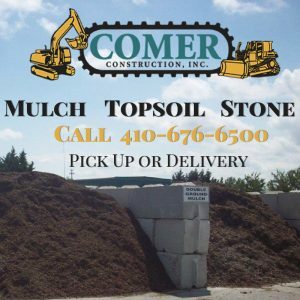 April 2017 - Comer Construction, Inc. Archive | Comer Construction, Inc.
At Comer Construction, we carry everything from natural and colored mulch, to topsoil and landscape stone for you to pick up or we will deliver it directly to your home or business. We process our own natural, top quality mulch and topsoil as part of our daily construction operations, which helps the environment by drastically reducing waste taken to landfills. And you can always be confident you’re getting a great value from a reliable local company. 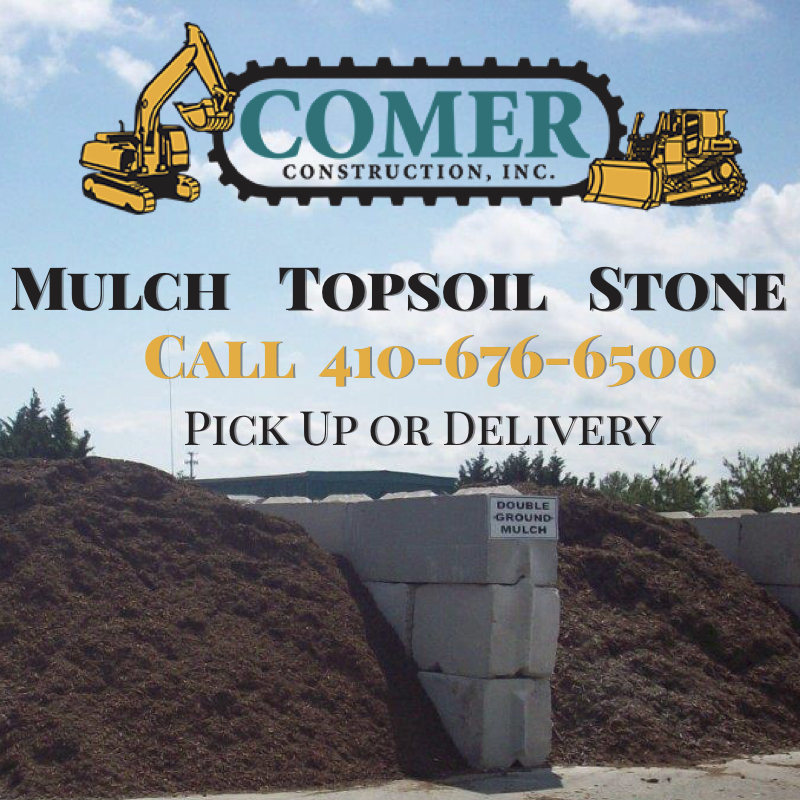 For pricing and directions to our mulch facility located at 900 Cirelli Court in Aberdeen, call us at 410-676-6500. We are open to the general public Monday through Saturday for local pickup and delivery services. We are proud to also work with wholesale and landscape professionals. 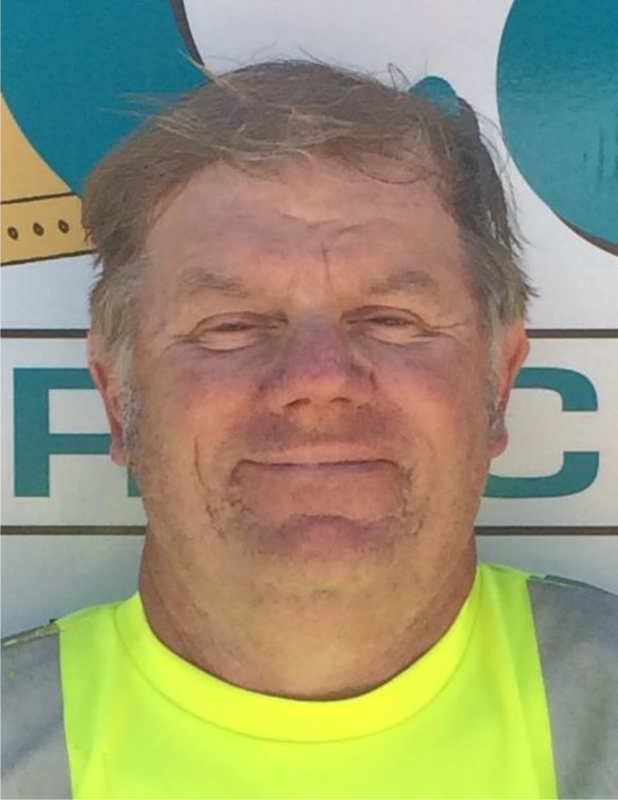 Congratulations to Charlie Streett, Comer Construction’s March Employee of the Month. Charlie has been an exceptional employee of Comer Construction for 28 years. During his nearly three decades of employment at Comer Construction, Charlie has worked as a Pipelayer, operating high-powered hand tools and pumping systems to safely and successfully install pipes on job sites.